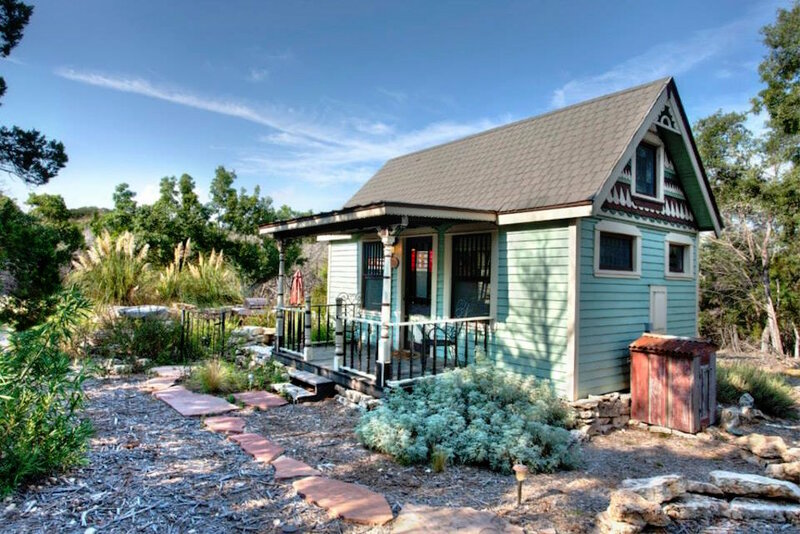 Our Tiny Texas House is a beautiful Victorian house, custom made from period-reclaimed building materials. The attention to detail is astounding in this work of art. 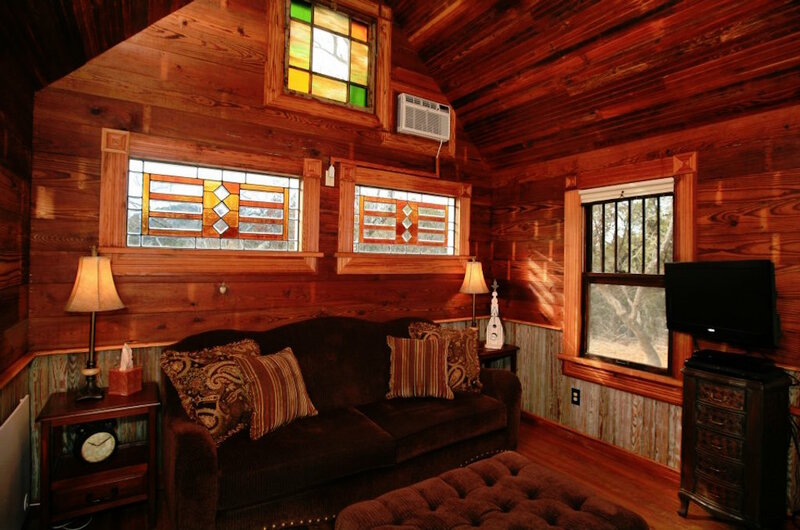 The cottage features vintage stained glass windows, antique wood floors and exquisite architectural details. 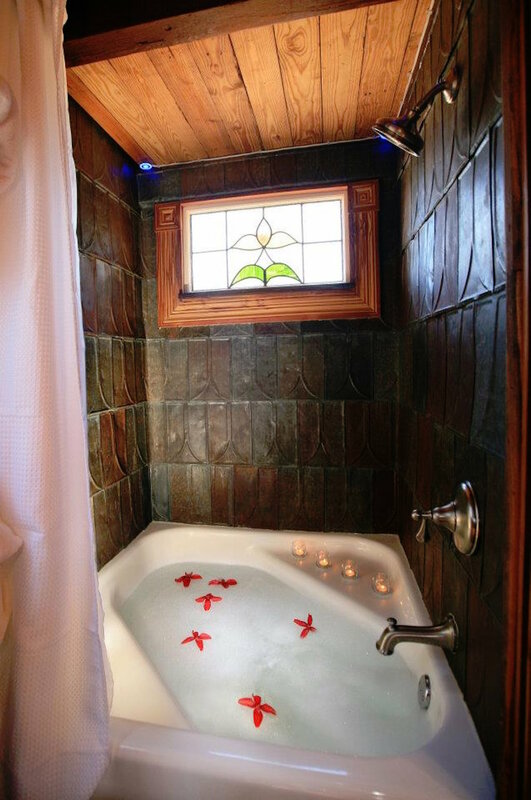 Enjoy a relaxing soak in the unique porcelain tub before bedtime, then climb the ship’s ladder to the sleeping loft and sleep peacefully in the plush king-size bed. 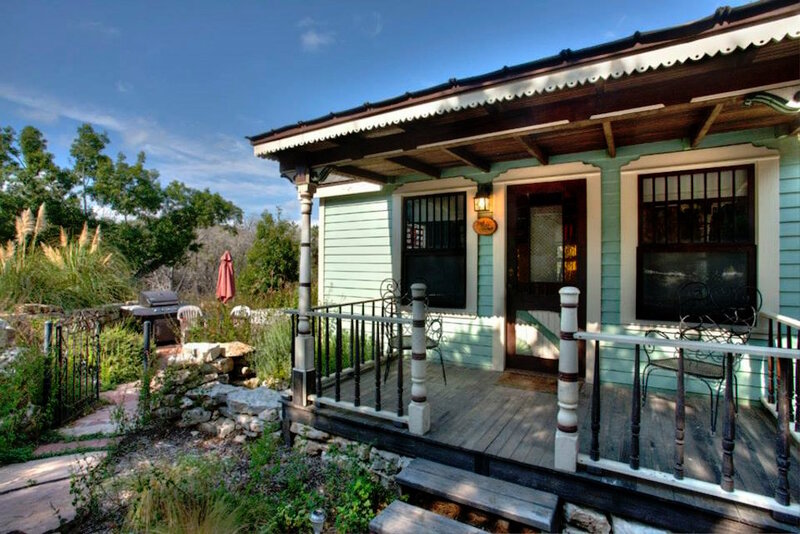 A 220 square feet (plus loft) home built using reclaimed materials in Canyon Lake, Texas. More info. Tiny Texas House in Canyon City, Texas. My wife and I spent a night at this cottage in the Hill Country. 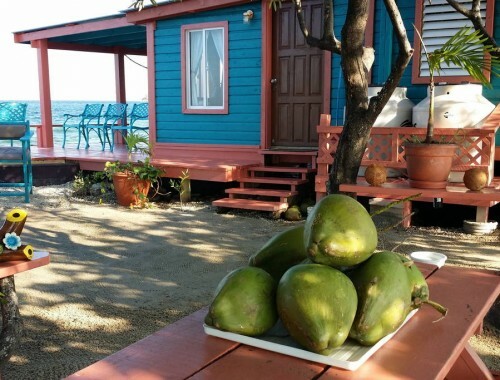 It was a very relaxing and romantic getaway and our first try at tiny house living. Quality build from the bright work to the paneling. 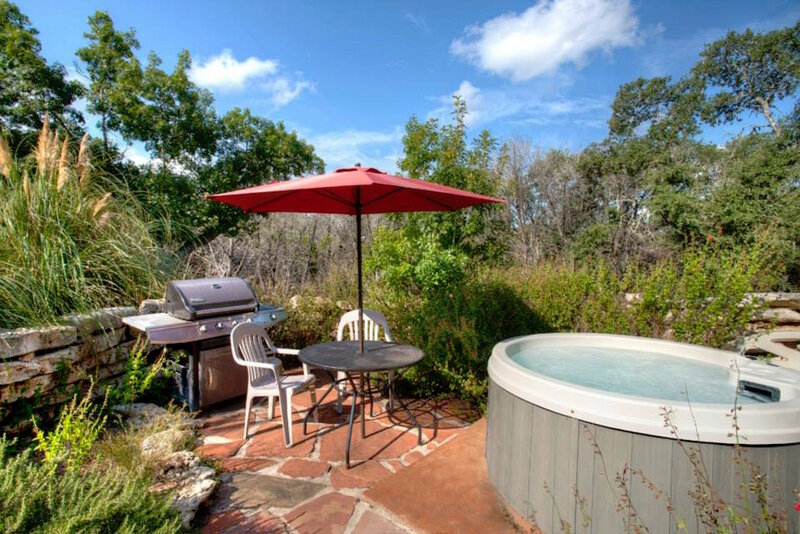 The hot tub and garden were wonderful in the evenings. Stunning! Awesome woodwork and stained glass windows. I love the stairs, balcony, and the small details of craftsmanship on the outside. When can I move in?? Stunning is right! 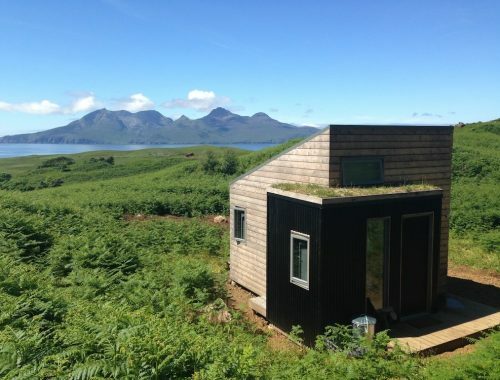 Wow, what a gorgeus home. 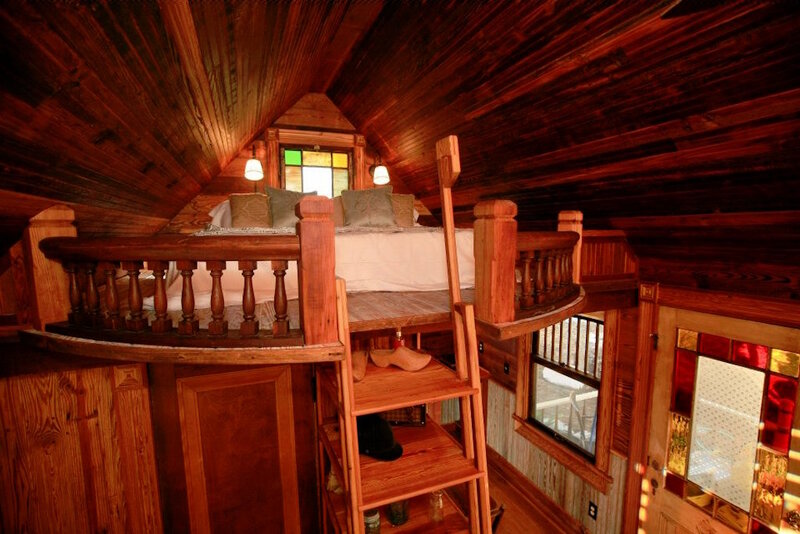 I’m not a loft fan, but living in this masterpiece would make it worthwhile. You must be so pleased and proud. Awesomeness everywhere! The details are amazing! WOW! WOW! 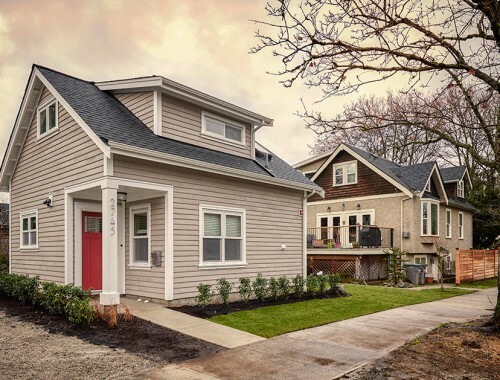 These are the most well crafted beautiful homes produced anywhere on the plant. I have admired their work for a long long time. How much for something like this? So lovely and beautiful! Hats off to the designers and builders and decorators (whether the same person or different people). 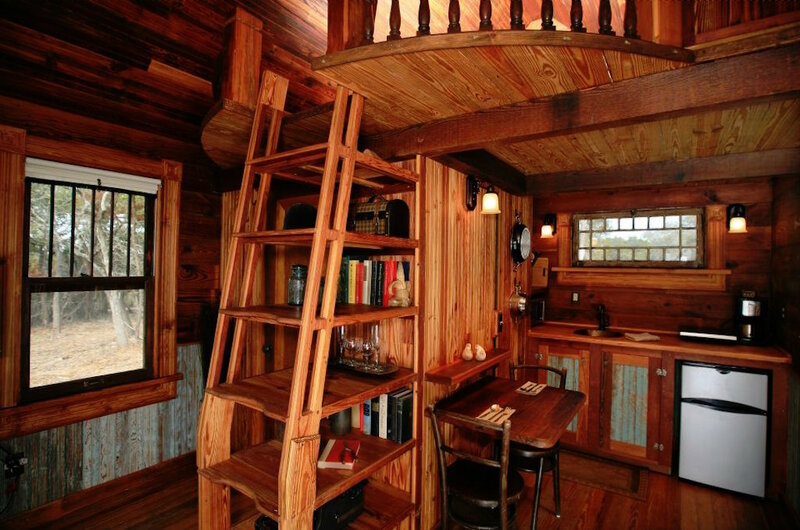 I adore the loft’s design, the railing and the ladder. If I could live that tiny this would be a great place to do it! Awesomeness! My son has lived in a tiny home for six years. I’m headed into retirement soon; would like something just a bit larger but would like someone to contact me for a build.